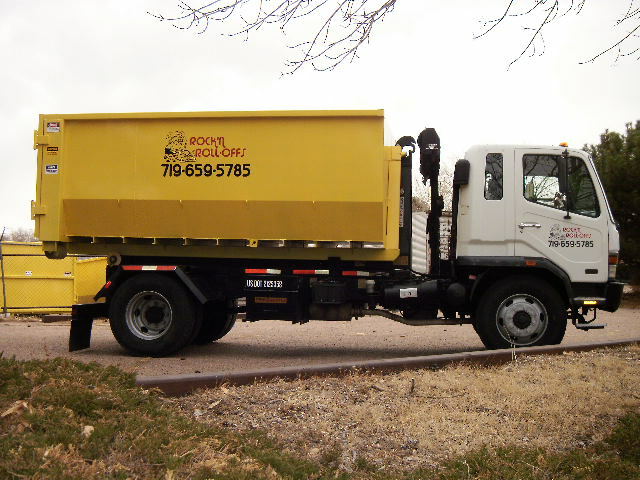 We offer disposal services to meet the needs of individuals with small clean outs, yard projects, moving, etc. or any type of commercial projects to include deck replacements, residential/business remodels, roofing replacements, and more. 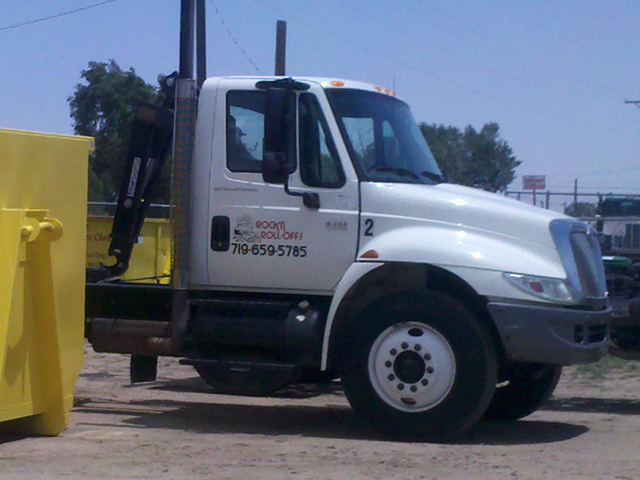 We service Colorado Springs and the surrounding towns. Not sure if you're in our service area? Just call us! No job is too big or too small! If you have a larger load, we will work with you on swapping out multiple containers and still offer a competitive price over companies with larger containers. If you only have a small job and do not have enough debris to fill one of our smaller containers, then we will only charge you for what you need. Because our trucks are equipped with hydraulic hooks instead of the standard winch and cable, we can place containers in small, tight areas that the other guys can't.